Your Perfect choice amongst charter Destinations and the ultimate idea of summer vacation is to laze in the Mediterranean sun aboard the deck of a luxury yacht. However as with all things in life, you can’t have too much of a good thing, All but the most lethargic of individuals would agree that such indulgence can soon become tiresome. The fact is, there is only so much stimulation that the sea itself can provide and the whole point of choosing the Mediterranean as charter destinations for boat charter, is to enjoy the charms of the countries that share its beautiful shoreline. However with a shoreline that extends for 46,000 km and is shared by 3 different continents and 21 different countries, the Mediterranean offers those interested in sailboat charter an almost inexhaustible choice of potential charter destinations. How then does one go about choosing the ideal place for Mediterranean yacht rental? In order to answer this question you must first consider which type of boat you intend to charter for your Mediterranean sailing experience. If your time is limited, it is clear that you can only attempt to cover a relatively small part of the Mediterranean during your charter cruise. As a result the most popular destinations for yacht charters destinations in the Mediterranean tend to be those where the coastal attractions are situated in close proximity. in the Western Mediterranean. However, there are many other destinations in the world, particularly in the mediterranean Turkey. 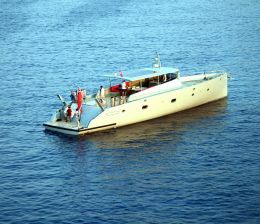 Greece and Croatia, that offer unique and fulfilling yacht charter vacations. In addition, there are more regions, such as Southeast Asia, that are experiencing a rapid increase in popularity. Should you choose to charter a sailing yacht, then your average sailing speed, depending on winds and weather conditions, is ly likebe between 8 and 10 knots (14-18km/h). Assuming 5-6 hours of sailing a day, you are looking at covering a distance of around 350km over a week long cruise. If on the other hand you choose to charter a motor yacht, then your average cruising speed is likely to be a far more impressive 20 knots (36km/h), allowing you to easily cover distances of over 100km in a day and 700km (the distance from Nice to Rome) in a week. Popular yacht charter destinations for Western Mediterranean include Croatia, the Cote d’Azur (The French Riviera), the Balearic Islands, and the Italian Riviera. A typical cruise in Croatia might take you from Venice (close to the Croatian border) to Split, via the unforgettable Dalmatian Coast. This route will take you past literally thousands of beautiful islands offering countless ports and idyllic anchoring spots. This coastline also offers a host of ancient settlements and ruins, including the city of Pala with its well preserved 26,000 seat amphitheatre. The Cote D’Azur needs little in the way of introduction and at any one time a large proportion of the Mediterranean yacht charter destinations will be moored in one of the region’s many marinas. The Riviera is famous for its spectacular entertainment, and world-class cuisine while the towns of Nice, St. Tropez, Monaco, and Cannes are all centres of high-fashion and great shopping. If you are looking for a somewhat quieter cruising experience then the Balearic Islands are an ideal choice. Comprised of four main islands, Mallorca, Menorca, Ibiza and Formentera, the Balearics offer an abundance of wide beaches, rocky coastlines and historic towns. With over 300 days of sunshine a year, the Balearics are an ideal destination year round. 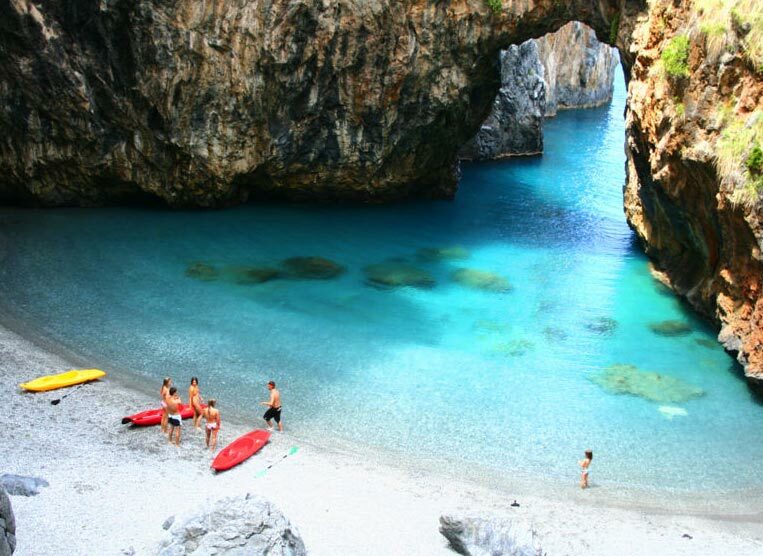 The Italian Riviera offers a wealth of diversity and its coastline is rich in culture and history. On the mainland, Portofino and the Amalfi Coast are particular favourites amongst the yachting community, while the picturesque islands of Ischia, Capri, and Elba are also awesome charter destinations. 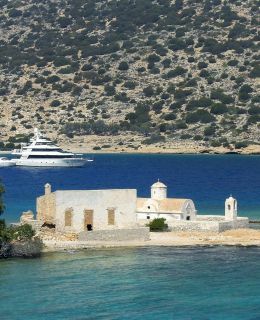 Luxury Yacht Charter in the Eastern Mediterranean consist of Popular yacht charter destinations for Eastern Mediterranean yacht rentals include Greece and Turkey. Greece offers a mainland with a long and varied coastline, though it is arguably most famous for its thousands of islands. Here it is possible to trace a route steeped in both history and mythology, from Ithaca, home of the legendary Odysseus to Lefkada, where the 240sft White Cliff is said to be scene of the poet Sappho’s suicide. The coastline of Turkey is not less steeped in history. Amongst its coves you will find the sunken remains of ancient Greek and Roman civilisations, while high up in the cliffs, you will find ancient tombs carved into the rock. The most famous route in this region is known as the Blue Cruise. 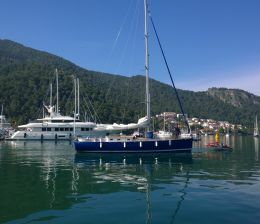 Starting in either Gocek, marmaris, Bodrum or Antalya. the cruise follows the prevailing winds to the port of Antalya, allowing those who sail it the opportunity to retrace an ancient and historically significant trade route. Should you choose to crewed motor sailing, then your average sailing speed, depending on winds and weather conditions, is likely to be between 8 to 12 knots (15 to 22 km/h.) Assuming 4 hours of motoring daily, and you are looking at covering a distance of around 80 miles over a day long cruise. On the other hand you choose to private a motoryacht then your average cruising speed is likely to be a far more impressive as much as 16 to 24 knots or upto 34 knots per hour, allowing you to easily cover distances of over 100 miles in a day and 700 miles in a week. If your time is limited, it is clear that you can only cover a relatively small part of the Mediterranean Luxury yacht charter destinations during your cruise. Most popular yacht charter in Turkey destinations and Eastern Mediterranean includes Greece and the Greek islands, Croatia and thousand islands in central mediterranean and Cote d’Azur The French Riviera, the Balearic Islands, the Italian Riviera, Portofino and the Amalfi Coast for western mediterranean are particular favourites amongst yachting holiday community While the picturesque islands of Ischia, Capri, and Elba are elite yacht charter destinations. The famous routes in mediterranean such as Greece and the Greek islands besides Turkey. the main attraction in this region is known as the Blue Cruise with Turkish gulets which are spacious and very comfortable compared to traditional sailing yacht charter destinations. There are hundreds of fabulous yacht charter destinations to choose from worldwide, Most popular destinations are available in tropical and sub-tropical climates such as the Caribbean and the Mediterranean. The weather, winds, and natural beauty of these waters, their islands, and the countries are a geological and cultural treasure. the close proximity to major population centres makes them that much more appealing. More countries, more history, more variety and more facilities than any other yacht charter region. Turkish riviera with numerous locations and famous luxury gulets, the greek islands in the Aegean, thousand islands of Croatia and Through French Riviera such as St. Tropez and Cannes are famous. High season runs from May to October, certainly july and August requiring the most advance planning and chartering in advance. Caribbean One of the most popular areas in the world for yacht chartering, with some of the largest luxury sailing yacht charter fleets anywhere. Gentle breezes, palm trees, white sandy beaches and amazing marine life make this a sailor’s paradise. With so many islands and different cultural backgrounds to choose from, it’s a popular winter getaway. High season runs from December to April. 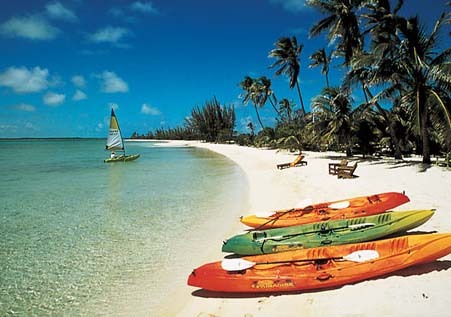 More information on Caribbean yacht charter. A variety of mostly remote cruising territories on two coasts (Caribbean and Pacific), with several distinct archipelagoes. 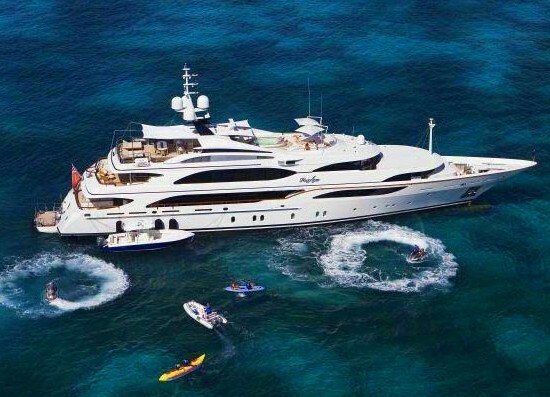 yacht charter companies operate out of Belize, Panama, Honduras, and Costa Rica. High season runs from November to May. From the wealth of the Mediterranean to the land of Scandinavia’s Midnight Sun, European charter offers a wide variety of coastlines and options. Europe’s geography, history and cultures all offer a change of pace at every turn. Yacht charter season runs from June to September in the north and from May to November in the Mediterranean. North America Atlantic and Pacific ocean coasts and many miles of Great Lakes and Gulf coastline make it possible to find cruising and chartering in any season. Details are specific to each region, with the Pacific Northwest winning the charter popularity contest thanks to its light winds, deep water, and spectacular mountain scenery. The Northeast and Great Lakes offer a variety of summer charter options. For winter getaways, Florida dominates because of its year-round climate, well-developed industry, and access to the Florida Keys and the Bahamas. Oceania: The South Pacific islands are on many yacht charter destinations wish lists, and what we dream of is actually the reality you will discover during a yacht charter destinations vacation. A one- or two-week charter in the South Pacific should focus on a single island group. Farther south are the bareboat fleets of New Zealand and Australia. Indian Ocean: An alternative to the Caribbean for charters between November and April, thanks to chrystal clear waters, unblemished beaches, and lively reefs. Yacht charter destinations in the Indian Ocean occurs primarily in the Maldives and Seychelles. 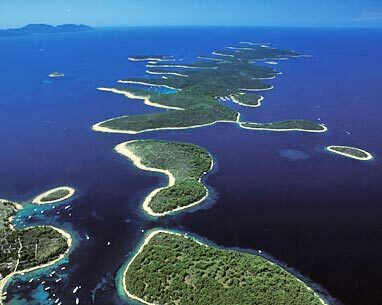 Each is an isolated island group and offers an array of locations to explore. South America: Ecuador and the Galapagos Islands offer dramatic diversity in their geology and indigenous species. Many crewed charter options operate right out of the islands and some offer packages that include the two hour flight from Quito. Further south, crewed charters can be arranged in the lake districts of Patagonia, around Cape Horn, and across the Southern Ocean. More information on South America yacht charter. You can charter a crewed yacht, bareboat, or sailboat nearly anywhere in the world, and the thousands of yachts available for charter on this website reflect the variety of vessel and sailing vacation experiences available. Asia: Boatbuilding is a big industry in Asia, yacht charter has followed with areas like Thailand and Indonesia leading the way. Thailand’s Phuket region includes options from local wooden day boats to crewed megayachts. With many undeveloped islands, it’s easy to truly get away from it all. Bali is an excellent base for Indonesian charters with its international airport. High season for chartering in the region is December through April.